Beehive Plumbing is a commercial and residential water heater repair company, located in the great state of Utah. We repair and maintain your water heater so you don’t have to worry about it giving out on you. A functioning hot water heater is necessary for things like showers, dishes, and laundry. Having your water heater properly maintained prevents hazardous situations like gas leaks or bursting hot water tanks. Getting work done on your hot water heater can not only keep you safe and clean, it can save you money. If you are in need of water heater repair in Utah, call Beehive Plumbing today. Beehive Plumbing has the necessary experience and tools to handle all water heater repair, whether they’re commercial or residential. We can service the vast majority of water heater makes and models. Our professional technicians are experienced experts who are fully bonded, insured, and licensed. They will give you a comprehensive repair estimate up front. We pride ourselves on not charging our customers with any hidden costs. Our preventative maintenance ensures that your water heater will maintain its efficiency, and reach it’s expected life expectancy. We offer a complete range of water heater repair services to Utah residents. Residential Water Heater Repair: We have taken on many thousands of residential water heater repair jobs since our inception in 1999. Residential water heater repair is our most common type of job, so you can rest assured that all our technicians are experts at such repairs. Not only can we repair your residential water heater, we can provide you with preventative maintenance and upgrades to save you money and help you avoid future water heater repairs. Commercial Water Heater Repair: We happily take on commercial water heater repair jobs. We know that commercial water heaters are often larger, more powerful, and more complex than residential water heaters. Tankless Water Heater Repair: Tankless water heaters are the newest and most important innovation in water heater technology. Compared to traditional water heaters, tankless water heaters are smaller and can help you make the most out of your property’s utility room space. They eliminate the risk of burst tanks, and their improved efficiency leads to lower power bills. It only supplies hot water when you need it, eliminating standby energy loss that’s associated with conventional water heaters. Its superior design also means that you no longer need to wait for your storage tank to fill up with hot water; it provides constant supply every time, so you can take a warm bath anytime you want. We provide a full range of repair services for tankless water heaters. We are also happy to install a tankless water heater or upgrade your current heater. Hot Water Heater Repair: Hot water heaters are our bread and butter. We have many years of experience working on all types of hot water heaters. Beehive Plumbing is happy to come out and work on any hot water heater problems you may be having. Gas Water Heater Repair: Here at Beehive Plumbing we have experience with all types of gas water heaters. Gas water heaters are a little different from other types of water heaters, so it is important that the technician working on the heater has the right tools and experience. That isn’t a problem with us. We know all of the proper procedures for gas water heater repairs. We are also stocked with the parts necessary for gas hot water heaters. 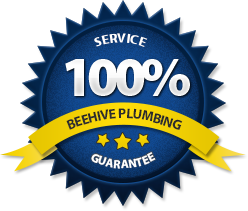 You can trust Beehive Plumbing for all your water heater needs in Utah. 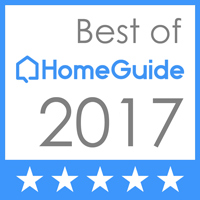 Whether you’re looking for a more efficient water heating system or simply need help repairing your current water heater, you are sure to get professional help from us. Visit our coupons page to check our current plumbing specials. Give us a buzz today and we’ll help you improve your property’s water heating systems.